Their first tour for over a decade is going to be MASSIVE! This fiery foursome will be spicing up the lives of thousands as they take to The Wembley stage. Lady Gaga is a fan and who doesn’t secretly love of bit of Mel B, Baby, Ginger or Scary. They inspired Girl Power in the 90’s and had a huge impact across fashion, female empowerment and worldwide culture in general. 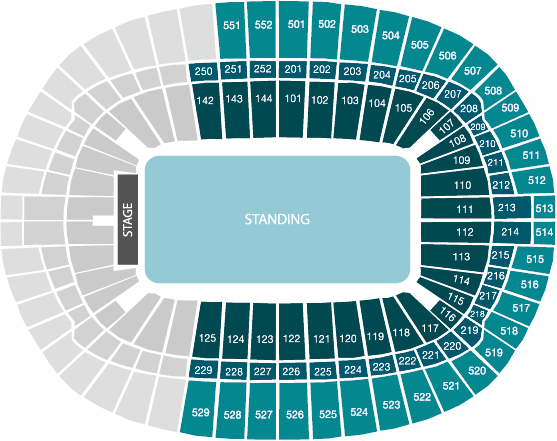 Their sell-out dates at The O2 Arena in 2008 were biggest grossing tour of the year and this one is set to smash those records. Having an eclectic following of young, old, men and women alike, this a rare universal event to entertain your best people. 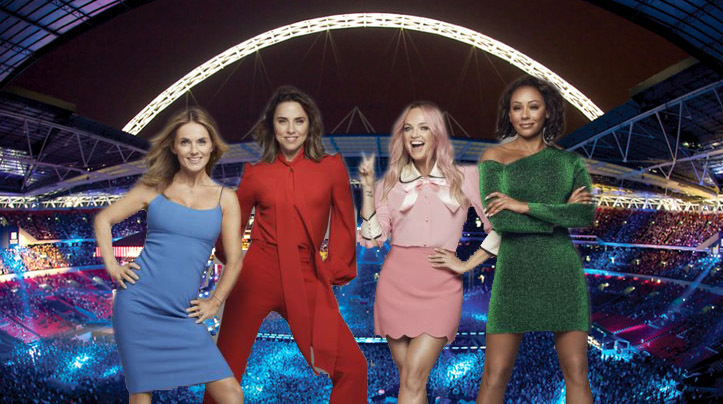 We can offer VIP stageside Spice Girls seats at Wembley Stadium, guide you through luxury private box options, find the perfect hospitality experience to suit your needs and can even organise signed Spice Girls memorabilia for his upcoming gigs. Holding 10, 12 or 20 guests you will enjoy superb service, fantastic food and exceptional views of stage whilst still experiencing the amazing atmosphere that a Spice Girls show radiates. Jump the queues and relax in the premium VIP restaurant with a wonderful range of wines and beers. Sample a cool and classy cocktail from the elegant bar. Experience the sumptuous food options before heading down to the best seats in the house with your guests to watch The Spice Girls do their stuff. BUD HERO BAR – The flagship Budweiser Bar is hard to miss on entry to Club Wembley, dedicated to showcasing the Budweiser Premium lager exclusively. LAURENT-PERRIER CHAMPAGNE LOUNGES – The stunning Laurent-Perrier Lounges offer two comfortable and elegant spaces for you to enjoy their range of champagnes. THE CAMDEN BREWERY BAR – Newly installed by the increasingly popular Camden Brewery, this bar brings the personality and charm of Camden town to Wembley Stadium. We have multiple taps of brewery-fresh beer behind the bar serving, Camden Hells Lager & Pale Ale, alongside a variety of guest beers from the Camden Brewery craft beer portfolio. THE LIONESS – This is the sister gastro pub of the successful Three Lions. Expect pub grub and plenty of beers on tap. THE THREE LIONS – The first pub in Wembley Stadium’s history. THE ATRIUM is a fantastic dining experience for members to enjoy before kick-off. The informal eatery boasts a contemporary pizzeria, rotisserie meats, stylish oriental dishes and exceptional British cuisine.-Walk in restaurant-subject to availability. THE VENUE Buffet and Restaurant-Wrapped around the North-East facing exterior facade of the Stadium, this restaurant offers sweeping views over London. Guests who arrive prior to the game will enjoy the naturally lit and relaxed atmosphere. Walk in restaurant-subject to availability.